The purpose of the powder making is to process the wheat after the cleaning and water adjustment through the automatic Flour Machine , to make the special powder suitable for different needs, special powder, fine powder, standard powder and so on, and separate the by-products at the same time. The most complex and most important section of wheat processing is the most complex and most complex process of wheat processing. The key to the process of pulverization is how to separate the endosperm from wheat skin and wheat embryos as completely as possible. Therefore, the first problem to be solved is how to achieve high quality flour after the Flour Mill is produced, and the rate of powder production is high, which is also the process of pulverizing. It is complex. With the development of society, special flour has become a trend, and the requirements for automatic flour mills are getting higher and higher. In addition, our company also sells Stone Mill Flour Machine, Large Flour Machine, as well as matching flour mill grinding process, Flour Machine Cleaning Equipment, Flour Machine Washing Equipment, Flour Machine Dedusting Equipment. Looking for ideal Wheat Flour Making Machine Manufacturer & supplier ? We have a wide selection at great prices to help you get creative. 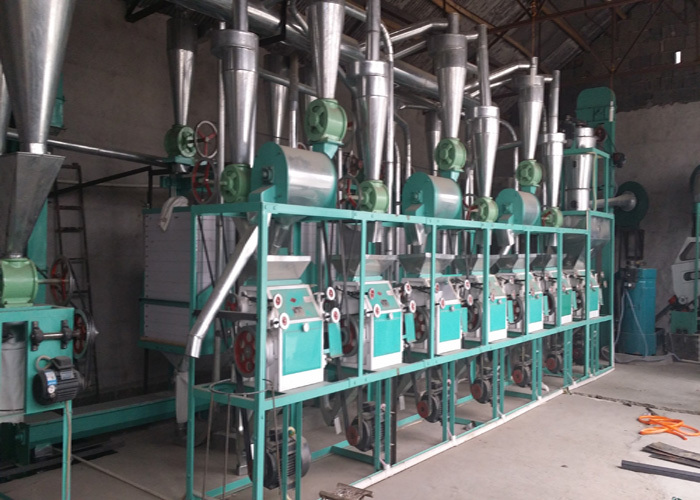 All the Fully Automatic Flour Mill Plant are quality guaranteed. We are China Origin Factory of Wheat Flour Grinding Machine. If you have any question, please feel free to contact us.